It’s officially spring in the Northern Hemisphere, as the recent super bloom in California has made loud and clear. But the Golden State’s golden poppies are just the beginning. This time of year, wildflowers carpet landscapes north of the equator across the globe, from the hills of Texas to the mountains of Bhutan. Then the whole thing starts up again in September when spring hits the Southern Hemisphere — it’s almost always wildflower season somewhere. Here are seven stunning blooms worth traveling the world for. 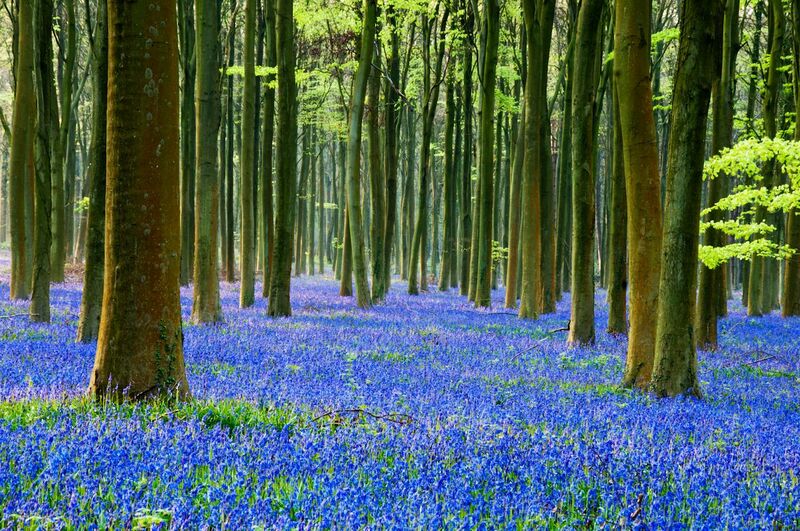 All across the UK, bluebells begin blooming midway through April, and they don’t let up until May. The purplish, perennial flower blankets ancient woodlands from Northern Ireland to Wales to the British Isles, but the best place to see them is their namesake nation: England. Some of the top spots are a doable day trip from London, including Kent and the Chilterns. If you’re in the East of England, head to Norfolk or Suffolk; consider Nottinghamshire in the Midlands; or opt for Yorkshire, Cheshire, or Lancashire in northern England. The National Trust has a comprehensive list of the best bluebells walks no matter where you are in the UK. Something magical happens in August and September near the Namibia–South Africa border: The orange, arid sands of the Namaqualand desert are replaced by even brighter orange daisies. Yellow, pink, red, purple, and white daisies decorate the landscape, as well as a variety of other wildflowers. 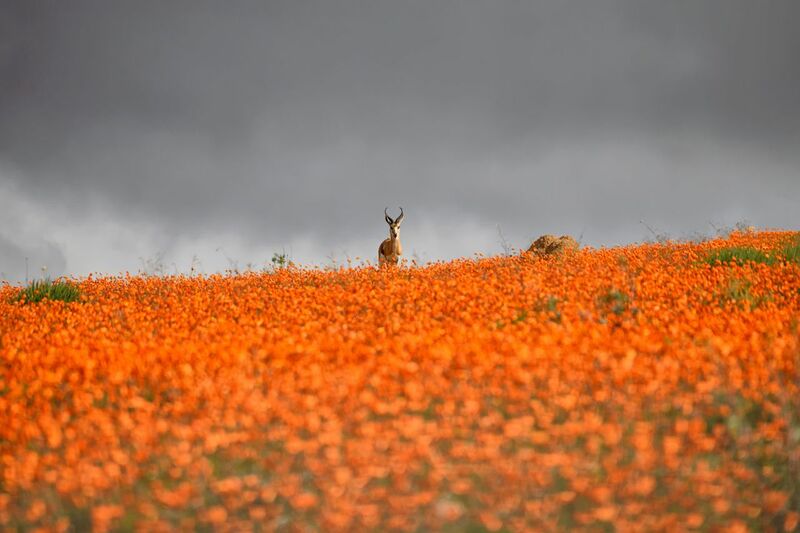 The official Namaqualand Flower Route starts about five hours north of Cape Town and cuts through the towns of Garies, Springbok, Kamieskroon, and Port Nolloth. Interspersed are protected spaces with hiking trails where visitors can stretch their legs and see the flowers up close. Get an early start when if you go as the blooms only open when the sun’s out between 10:00 AM and 4:00 PM. Rhododendrons have been widespread in Ireland since they were introduced to the island in the 18th century — much to the chagrin of conservationists. The then-exotic, pink-purple Rhododendron ponticum species was brought over from the Iberian Peninsula to spruce up Britain’s parks and gardens, and it’s been growing aggressively ever since. Nowhere is the problem greater than Killarney National Park, where the prolific blooms notoriously choke out the native flora. So badly, in fact, that in 2017 a Kerry politician even suggested military intervention. Killarney National Park is hardly your only option for spotting this beautiful yet invasive species. 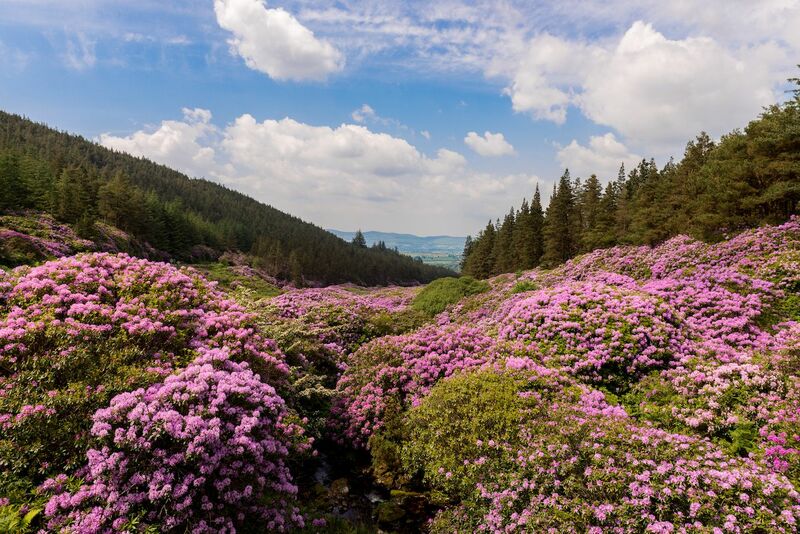 The scenic drive down Vee Pass in County Tipperary is known for its rhododendron cover come spring, as is Reenagross Park in the town of Kenmare, where visitors might even discover a romantic natural rhododendron tunnel. Stop by any of the above between mid-May and mid-June to see the flowers at their finest — before Ireland figures out a way to deal with its rhododendron problem. 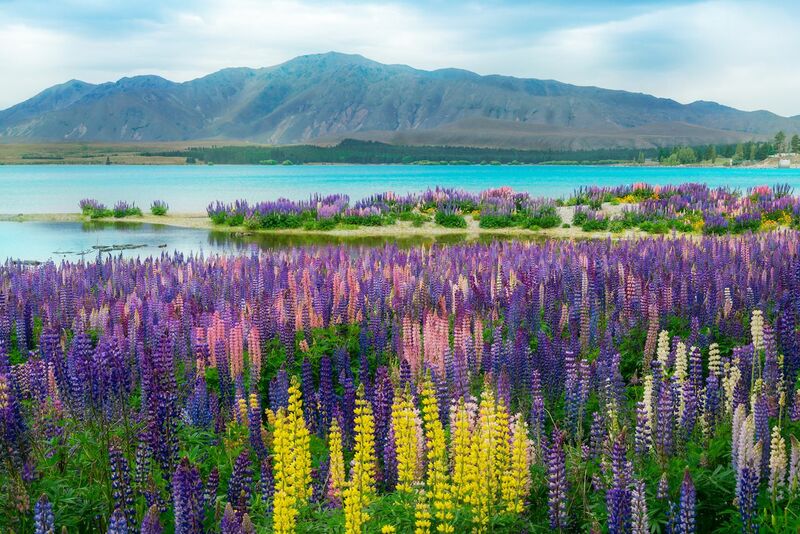 Lupins, or lupines, grow all around New Zealand, but the flowers that ring the South Island’s Lake Tekapo are the real scene-stealers. They bloom between mid-November and December, which is summer in the Southern Hemisphere. It’s an event that draws tons of visitors every year. While the tourism benefits locals — and the flowers are undeniably beautiful — the pink, purple, and blue plants aren’t quite as nice as they look. Lupins are an invasive species that grow aggressively around the Mackenzie Basin, threatening some native species and ecosystems. Lupins also grow abundantly in Iceland, where they are an invasive species, too. 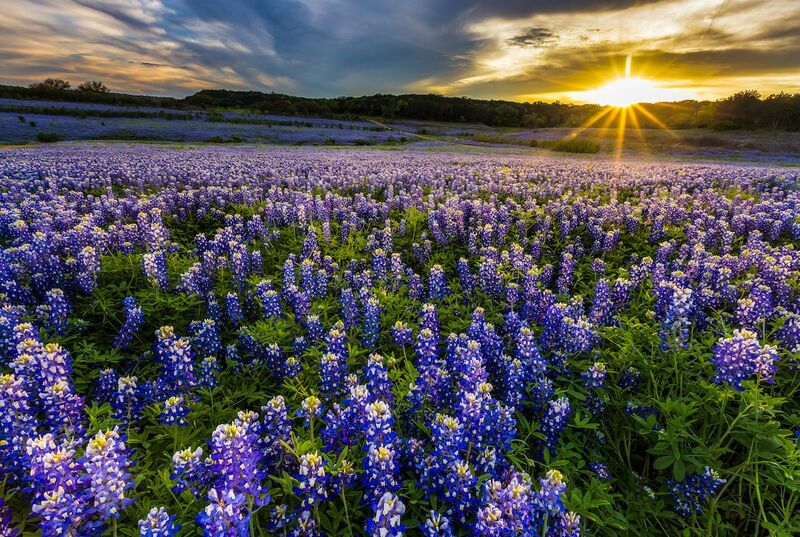 Texas’s Hill Country has been in the news lately due to this year’s bluebonnet explosion. While the almost-purple wildflower puts on a good show every year, Big Bend National Park is seeing its biggest and brightest bloom in a decade. Elsewhere, you’ll get an eyeful in the fields around Fredericksburg, Marble Falls, and Ennis, home of the Lone Star State’s official bluebonnet trail. It’s a pretty special sight, so if you can’t make it down to Texas in the next few weeks, be sure to put a wildflower-viewing excursion on your bucket list for some other March or April. Though the Himalayas typically conjure images of snowy peaks, pockets of mountainous northern India also see stunning wildflower blooms between June and October. So stunning in the case of Uttarakhand’s Valley of Flowers National Park that the alpine flora helped earn the West Himalayan valley a UNESCO nod. Beautiful orange marigolds are a common sight though hundreds of species bloom in the park, including various orchids, poppies, lilies, and daisies. 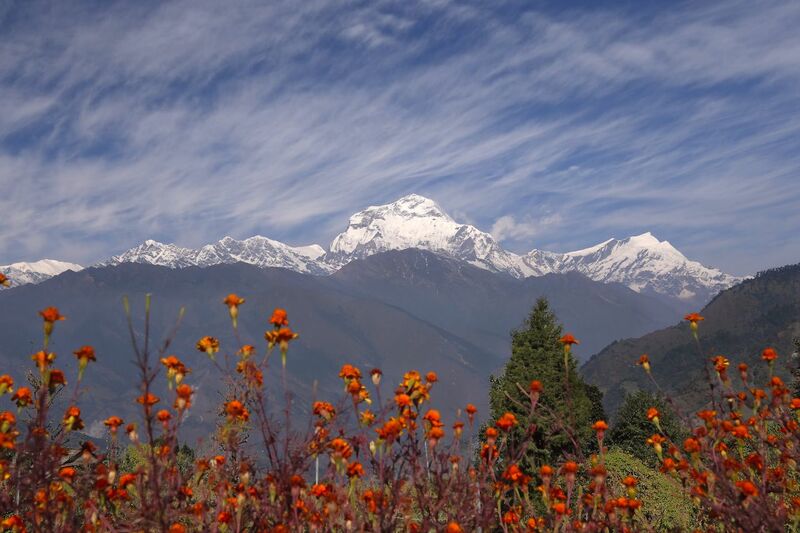 Visit in August or September when the flowering season is at its peak thanks to the heavy monsoon rains. Note that visitors are only allowed in the park during daylight hours. 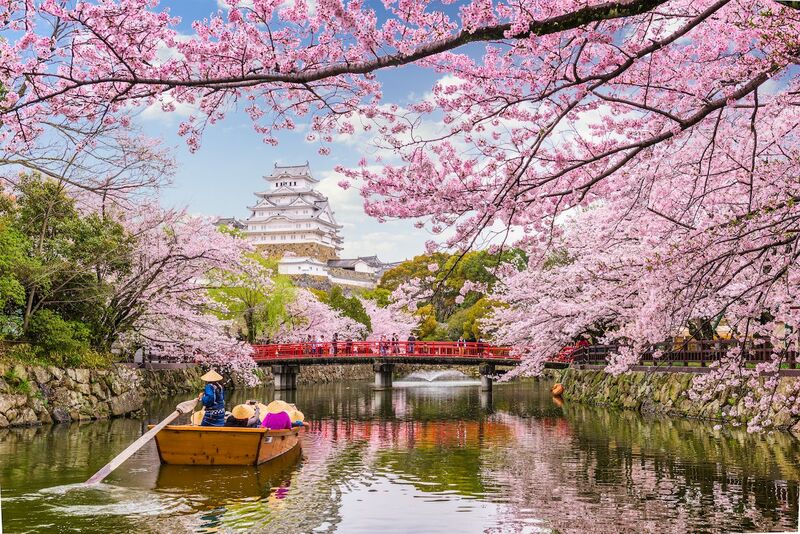 Locals and travelers alike anxiously anticipate cherry blossom season in Japan and Washington, DC, every spring, which generally peaks in March or April in both locations. In Japan, where the blossoms are known as sakura blooms, some of the most ambitious buds will open up as early as January. The island of Hokkaido and former capital Kyoto are two of the popular spots for sakura viewing. Stateside, the nation’s capital fills with cherry blossoms both on and off the National Mall. Book a last-minute trip to DC before April 14 to catch this year’s National Cherry Blossom Festival and see the delicate pink and white blooms framing some of the US’s most iconic monuments.